With the continued threat of website security breaches and identity theft, Google is leading the effort to make browsing the Internet safe. This is why Google Chrome 68, released on July 24th, 2018, displays a small green padlock and the words “Secured” for websites with an SSL certificate (HTTPS) and a “Not secured” message for those with HTTP. Firefox and Safari have similar strategies to guide users to interact only with “safe” websites. SSL stands for Secure Sockets Layer. It is the standard security protocol for establishing encrypted communications between a browser and a web server. It enables both parties to communicate privately and securely by exchanging secret “keys” only known to each other. In order to create this type of connection, an SSL certificate needs to be purchased from your website hosting company and installed on your website’s web serve. SSL certificates are issued by a trusted Certified Authority (CA) who verifies the company’s identity thus ensuring the authenticity of the certificate and the website. When a visitor transmits information to your website, whether it’s credit card information, login credentials, or personal information, the connection can easily be compromised either by eavesdropping or other hacking techniques. 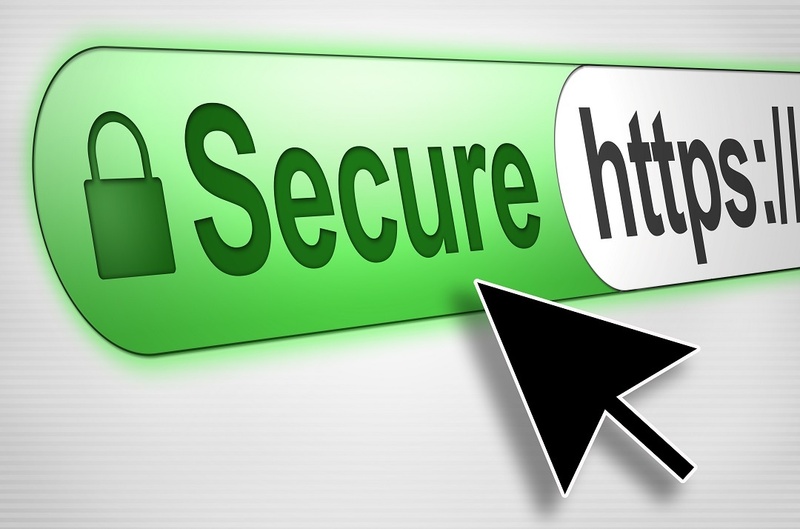 Having an SSL certificate for your website ensures your visitors a more secure communication. For eCommerce sites or sites that collect personal and/or sensitive information from visitors, having an SSL certificate is a necessity. Many people will only do business and share their personal information with companies whose websites are secure. Trust – Visitors feel more comfortable on a secure website whose identity has been authenticated by a reputable third party authority. Security – Customers can safely submit payment information and other personal identification information knowing their connection is secure from malicious third parties. Administrator login credentials, even for static websites with no other forms, are protected from being intercepted. SEO – Secured websites are ranked higher in Google’s search rankings, giving them preference over unsecured websites. GDPR Compliance – Article 32 requires “the ability to ensure the ongoing confidentiality, integrity, availability and resilience of processing systems and services;..” SSL certificates provide data protection to meet this requirement. Speed – HTTPS gives access to HTTP/2 which is a faster protocol used to send data. In October Google will release Chrome 69 which will no longer show the “Secure” indicator, but will continue to display the “Not secure” message in red. This glaring warning may deter visitors to your site, thus losing potential customers. The Marketing Department Malvern, PA is a full service Marketing Agency serving Malvern, Main Line, King of Prussia, Wayne, Paoli, Berwyn, Chester County and Montgomery County, PA areas. We deliver precise strategic thinking and marketing direction that can turn your concept from vision to reality. The main core of our strategy is achieving targeted and measurable results. We can help you plan all your marketing efforts. Copyright © 2013 The Marketing Department.